Donna Laframboise highlights how the Supreme Court would like to rule on scientific debate surrounding climate change. This could for example, make it illegal for a science teacher to express a “non-orthodox” view on climate. McCarthy would be proud. 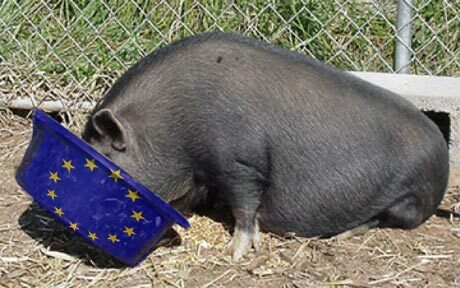 And we thought we had it bad in the UK! 2015 GWPF Annual Lecture – Patrick Moore – ‘Should We Celebrate Carbon Dioxide? I always enjoy hearing Patrick speak and would have been in the audience had it not been for other commitments. Unfortunately I would only have swelled the ranks of the grey haired ones. It is sad that so few young people attended and shameful that we are brain washing our young minds with “carbon pollution”. The analysis and conclusions that Patrick described are difficult to refute though Patrick welcomed an open debate. I would love to watch him demolish Gavin Schmidt (NASA) in public but I suspect that man is too cowardly to face him. Patrick’s conclusions do not rely on complex models, hypotheses or assumptions.Rather, he employs straightforward interpretation of historical data and simple extrapolations based on observed trends and incontrovertible facts about the role of CO2 in plant growth. The graphics of Montreal under ice due to only a small projected fall in temperature ought to cause even an alarmist to choke on his organic cornflakes. I do not understand the mass insanity that seems to have gripped the world other than it is clearly driven by political and not scientific motives. Patrick Moore is not alone in standing against this insanity but he is at the forefront and I am grateful for that. The latest government fraud being pimped by the press is the NOAA Climate Extremes Index (CEI.) 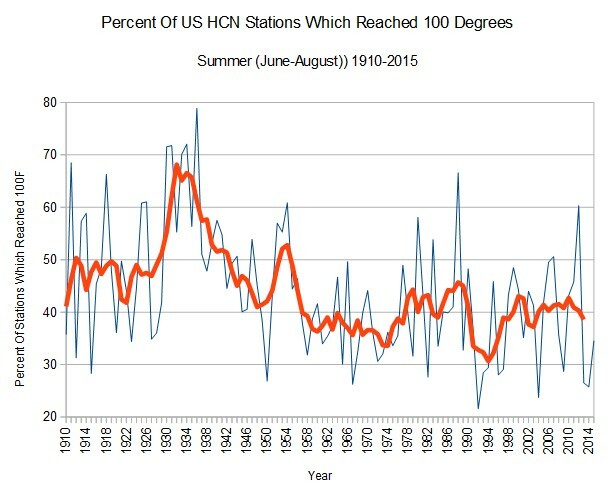 This is a completely fraudulent index designed to mask the recent lack of heat and other extreme weather in the US. 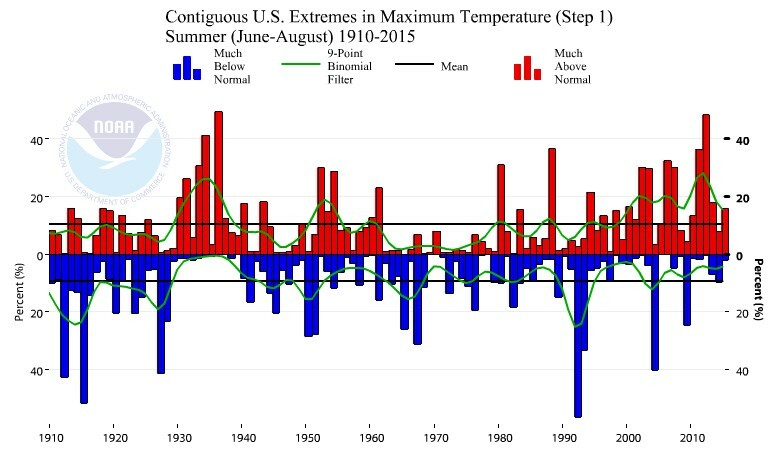 NOAA shows that the area of the US experiencing unusually hot summer afternoons has increased to record levels. percentage of the United States with maximum temperatures much above normal. The actual NOAA data set shows the exact opposite. The area of the country reaching 100 degrees has plummeted to record lows. 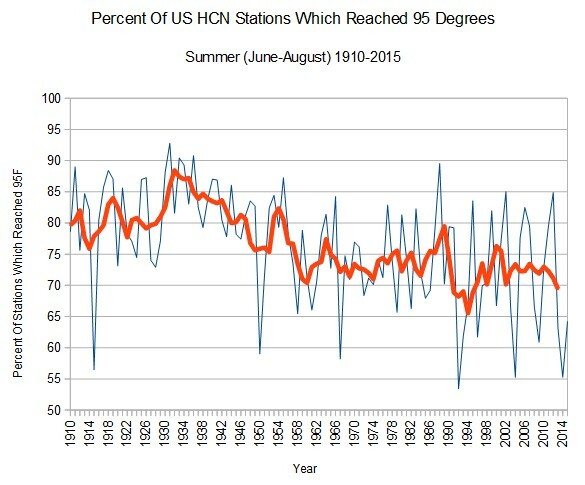 None of the published NOAA adjustments should have any impact on this metric. They have no excuses for this fraud. The same is true for 95 degree days. The area of the US reaching 95 degrees has also plummeted and near record lows. Another long and rambling piece in the Telegraph from Helena Morrissey , who usually spends most of her time complaining about gender gaps. This time, however, she offers up her expertise on climate change, repeating the same nonsense which Mark Carney came up with a couple of weeks ago.